“Best of” compilations are usually the preserve of the music industry. So if any museum has the shows to get away with the same trick, it would have to be Urbis. Manchester’s poppiest gallery space is celebrating its short history with a final show, Urbis Has Left The Building: Six Years Of The Best Exhibitions In Pop Culture. 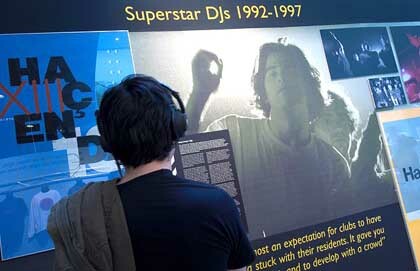 Since 2004 the city centre museum has staged shows on everything from graffiti and record design to manga and video games. But from 2011 the venue will be given over to an even more popular pastime as the National Museum of Football moves down the road from Preston. Urbis Chief Executive Vaughan Allen said he was proud to have quickly established a global reputation with the museum. “No other . . . has provided popular culture with a serious platform in the way that we have, with a genuine passion that made us unique, consistently giving credibility and backing to subjects that most galleries and museums would overlook,” he commented. Many Urbis shows have been celebrations of local talent, including graphic designer Peter Saville, fashion designer Matthew Williamson and record label Factory. Other shows have looked as far afield as China and the US civil rights movement for inspiration; Black Panther: Emory Douglas and the Art of Revolution was rated one of the best of the decade by Museums Journal. This will be your last chance to visit Urbis. And where else could you go to view a pair of limited edition Haçienda nightclub trainers?